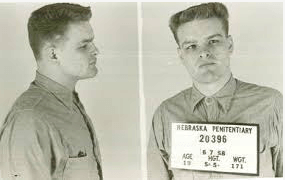 Based on the true events that captured and terrified the state of Nebraska in 1958, Starkweather – written by local author Doug Marr – is a riveting recount of the fear Nebraskans felt before these killers were captured and the trial of two teenagers accused of the worst crime in state history. Showtimes are Thursday thru Saturday at 7:00pm, Saturday & Sunday at 2:00pm. For details about purchasing tickets call 402-455-6341. Directed by: Molly Anderson. Disclaimer: This show contains adult language or situations. Children under 17 will not be admitted.